Andrew is widely recognised for his expertise in cases concerning children. His practice focuses on parental disputes about arrangements for children after separation, international children law including child abduction, and applications to relocate children to another country. He is also in demand in cases where the local authority is involved, including those with complex medical evidence and allegations of sexual abuse. He is currently being led by Alex Verdan QC representing a core participant in the Independent Inquiry into Child Sexual Abuse. Andrew brings a calm but knowledgeable approach to his work with parents engaged in disputes about their children. Clients find him approachable and empathetic. He has represented clients in all levels of court, and adopts a courteous but no-nonsense approach to advocacy. His case load is both domestic and international, and he is experienced in dealing with cross-jurisdictional issues, particularly in international adoption and international surrogacy cases. 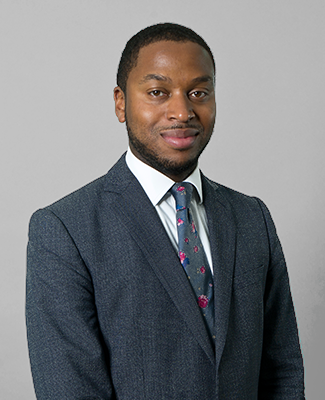 Andrew is also instructed in cases concerning vulnerable adults in forced marriage, stranded spouse and FGM cases. In addition to his practice focusing on arrangements for children, Andrew has developed a specialist practice advising and representing clients on the law relating to the Human Fertilisation and Embryology Act 2008 (surrogacy, parental order applications and fertility treatment) and disputes arising from LGBT parenting arrangements. Andrew was led by Teertha Gupta QC to represent the child in Re Z (A Child) (No 2)  EWHC 1191 (Fam) where in a landmark ruling, the President of the Family Division granted a declaration of incompatibility in a case where a single father was unable to apply for a parental order. In 2014, he worked in Los Angeles in a law firm specialising in surrogacy and fertility law and since his return has been acknowledged as one of the leading barristers in this area, writing surrogacy articles for Family Law Week . Andrew has experience representing, intended parents and surrogates in applications for parental orders and parents and fertility clinics in declaration of parentage cases. Andrew has experience representing parties in cases concerning deprivation of liberty and best interests in the Court of Protection. Andrew is the author of the domestic adoption chapter of Rayden and Jackson on Relationship Breakdown, Finances and Children (2016 edition). Outside work, Andrew enjoys running and cycling. A rising presence in the world of private law children work both domestically and abroad, who is proficient in child abduction cases. He has further particular expertise in surrogacy and broader fertility issues. A rising presence in the world of private law children work both domestically and abroad who is proficient in child abduction cases. He has further particular expertise in surrogacy and broader fertility issues.